We have an older SUV and a newer van, and we are constantly looking for ways to improve the older vehicle, so that it stays looking new. We loved receiving a headlight restoration kit from Sylvania as well as headlights to review on MamaBreak. The kit comes with everything you will need for fantastic looking lights! The restoration kit is easy to use and the instructions were easy to follow. Before the HRK. 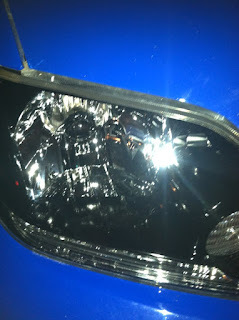 The light shows haziness and scratching. We loved the after effect of the headlight restoration kit from Sylvania because it really did make the car looking nicer! 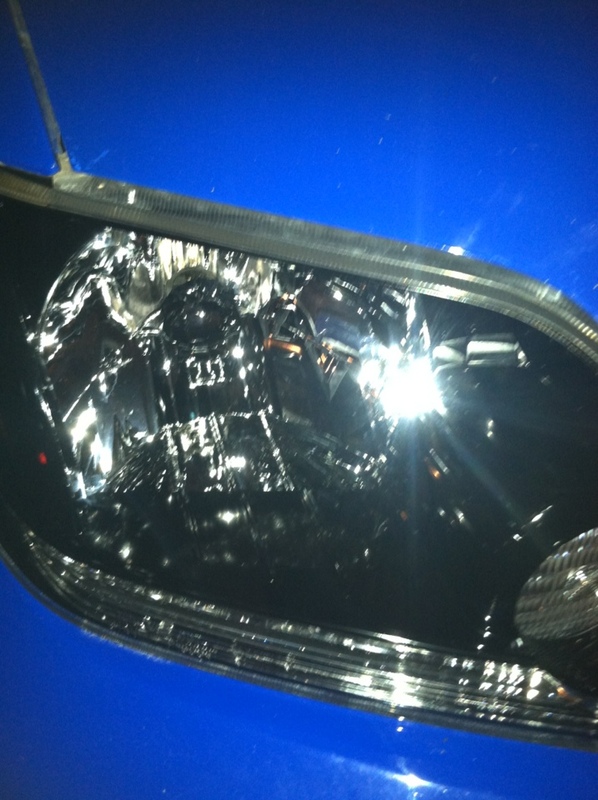 We love the newer, brighter headlights because they make driving at night MUCH easier! 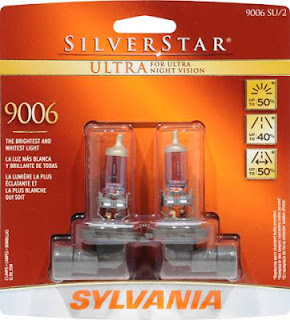 The Silverstar Ultra Headlights from Sylvania. 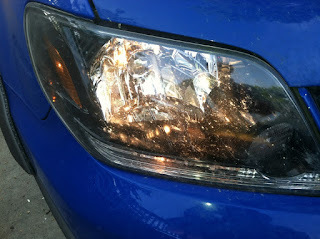 made a huge different in the amount of light given off by the headlights, and made it much safer for the entire family. We know this would be the PERFECT gift for dad this Father's Day, especially fathers that enjoy older vehicles, or just want their family to be safer! After the HRK from Sylvania-- look like new! 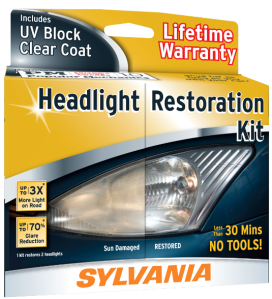 Want to win your own Headlight Restoration Kit from Sylvania? Enter Below! It's another occasion to have cake and celebrate! I love the attention and focus on fathers! Going out to dinner and saying thanks to my husband for all he does for our family. Even though my dad passed away a little over a year ago, it is still a day to honor him and all of the wonderful memories that I have of him. I do love celebrating the favorite men (my dads & hubby!) in my life on that day! Is spending time with my Dad he as passed now so I think of him on Father's Day thou. I like spoiling my husband. Usually he shies away from being the center of attention, but on Father's Day he lets us pamper and spoil him. I like watching my husband spending quality time with my daughter. Having a second mothers day I guess, I always did something special for myself on fathers day. My favorite thing about fathers day is spending time with Dad. I love getting together with the family and having a nice meal. I love making my husband and father feel special. It's a great day to let them know we appreciate them- plus we often grill or go camping. That's a bonus! Cooking out with the family out by the pool. I love taking my dad out to eat and being the one to pay! Fathers deserve a day just for them. Getting together with my whole family. Father's day is a little sad for me for various reasons. But, I have good memories of Father's Days past! My favorite thing about father's day was going out with my family for lunch after church! It's being together with family! spending time with family and showing dad how much I care! Telling my dad I appreciate him! Getting to spend the entire day with my two favorite men in the whole world my dad and husband. Doing something special for my husband. Remembering my dad is what I do on Father's Day. We love to celebrate with my dad and with my husband (daddy to our 3 little ones). We eat out and spend some family time together--usually over a deck of cards. Letting my dad know that I love him dearly. I can't be with him since we live so far apart, but we are always together in our hearts. I love that the kids love spending time with their dad and my hubby loves spending time with them! Having the family together for a while. I love watching my husband spend time with our kids and how much they love on him. I giving my husband a special day as he makes all of ours special each and every day. Thanks for the giveaway…going out to brunch on Father's day !